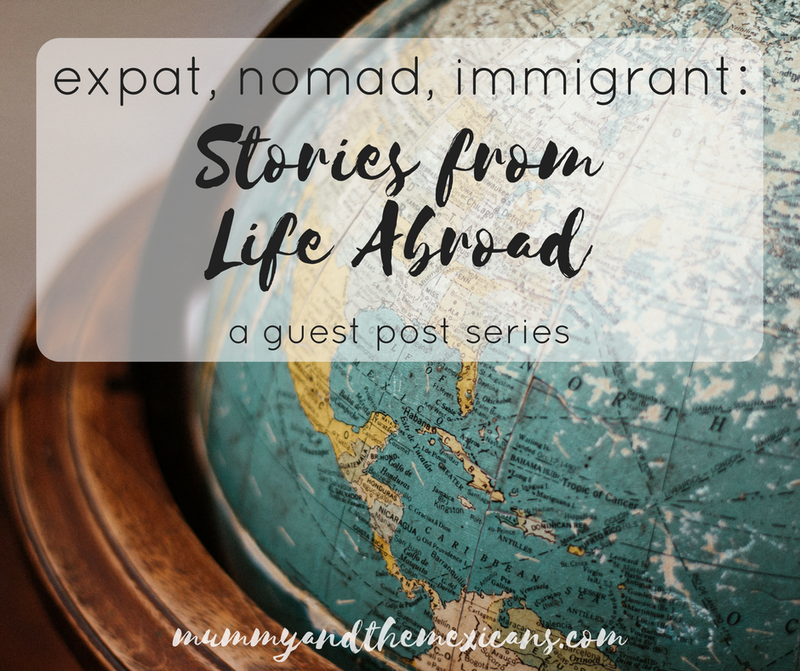 Welcome to the launch of my new guest post series which gives expats, nomads and immigrants a space to share their stories of life abroad and offers us a glimpse into their experiences. First up, to launch the series, is me. This is my story, or part of it at least, of how and why I came to be living in Mexico. 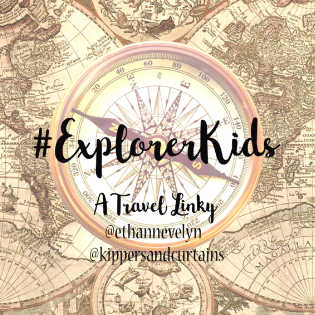 Expat (n): (shortened form of expatriate) A person who lives outside their native country. Nomad (n): A member of a people that travels from place to place to find fresh pasture for its animals and has no permanent home. Immigrant (n): A person who comes to live permanently in a foreign country. Expat or immigrant; What am I? After 14 years in Mexico am I an expat or an immigrant? Or both? I’m not sure what to call myself. There have been times when I’ve felt like an exile. How did I end up here? I remember a whimsical daydream I had when I was working as an office temp the year after I graduated. I was bored and frustrated; unsure what to do with my life and desperate to travel. I myself living in Mexico and being an artist (anything is possible in a daydream!) without really believing it would ever happen. Well, the artist part was a road I didn't take, and would've involved more hard work, dedication and self-belief than I had in me at that time. But the road I did take somehow led me to the other part of that daydream, to Mexico. A couple of years before that, 20 years ago, in fact, I had my first taste of living abroad when I spent my placement year in my third year at university in Spain. Since I was studying Spanish part of the objective was to practice and improve my Spanish language skills, which I did, despite being sent to a small town in the foothills of the Pyrenees in Cataluña where almost everyone spoke Catalán. I would speak to people in Spanish and they replied in Catalan! It was an interesting experience and there I met some EFL teachers from the UK who worked in a local English school. This opened my eyes to this possibility which brewed in the back of my mind for a couple of years as a way to do more than just travel as a tourist. What I wanted was to be able to experience different places and cultures more deeply; to live them. I took the plunge after a year of office temping and a summer of traveling and doing voluntary work in Belarus. I took the Cambridge CELTA course to train as an English language teacher and suddenly the world was my oyster. Where would I go first? Mexico was actually my first choice but no school in Mexico would pay for my airfare out there. I was offered a job in Costa Rica, but had to pass up the opportunity when I realised at the last moment that my passport was about to expire. So in the end I stayed a bit closer to home, though perhaps stranger in terms of language and culture, and went to another country that fascinated me and that I had been wanting to visit: Romania. That's another story for another time but it was a wonderful experience. I also spent some time teaching English in London, and back in Spain, in Galicia that time. Then I came to Mexico. I wrote a little about how I got here in another post, Return to San Luis (and how I got there in the first place). Basically I took a bus from New York to Nuevo Laredo, just across the border from Texas – a two-day journey. From there, I decided to take another bus immediately to San Luis Potosí, another day’s journey away. I was 26 and evidently needed to make my life as complicated as possible. At least that’s the only explanation I can think of now for taking a three-day bus trip. Why did I choose San Luis Potosí as my destination? I knew nobody anywhere in Mexico and knew next to nothing about the country except what I had read in my Let’s Go guide to Mexico. I made my decision on the basis of the guidebook description. The city sounded interesting and neither too big nor too small. It was a rather arbitrary decision, but a fateful one as it turned out. I never imagined that there I would meet my future husband and stay seven and a half years. I sometimes wonder what would have happened if I’d just chosen a different city. I would probably have gone back home at Christmas and lived a completely different life. Or who knows? At first, everything was a novelty, everything was strange and exciting – especially the food! I started a blog (a very basic one – it was 2004 and nobody read it except my parents) to chronicle my experiences and describe the new and unusual foods I discovered. After a couple of years I lost the impetus, the novelty had mostly worn off and so I stopped writing, unfortunately. 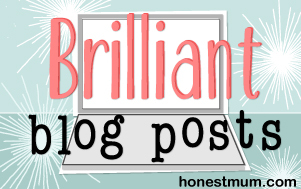 Almost ten years later, in a different city and with a new baby, I took up blogging again with this blog and I’m so glad I did. It’s like my other life and my creative outlet. Over the years, I’ve begun to put down roots here – without realizing it, perhaps – and I guess I do see our situation here as permanent. I find it hard to imagine going back to the UK and starting from scratch – even if it were possible with ever-stricter visa regulations. I’m so used to life in Mexico now. Do you know what I would miss most about Mexico if we did leave? The food, of course, the food! A couple of years ago I finally got my permanent resident visa through my job, which I am eternally grateful for as it means not having to go back to the immigration office ever – previously I had to go through the somewhat expensive and tortuous ordeal of renewing my visa every year. I don’t know if I feel particularly like an expat. My daily life is as if I were Mexican; my job, my family; my husband is Mexican, my daughter is Mexican (actually, she has dual nationality so she’s British too; she got her British passport last year, which you can read about in How to apply for your child's first UK passport from abroad ) so the only non-Mexican is me. I don’t really know other foreigners here. Sometimes I forget I’m foreign and have an accent. In the centre of Querétaro, where we live now. Mostly it’s impossible to forget, though; I do stand out here. Especially now I’m bringing my daughter up to be bilingual and I’ve got into the habit of always speaking to her in English. Wherever we happen to be, no matter who we’re with and whether she replies to me in English or Spanish, I always talk to her in English. Which may be a little odd and incongruous at times, but that’s become my normal. I’ve got used to being an outsider on the inside of a strange culture. Maybe I’ve even become comfortable with my own strangeness. If you enjoyed this post, please share it and feel free to leave a comment below, I’d love to hear from you! Don’t miss out on the next installment of the series, "The Wrong Coat" by Liberty from Liberty on the Lighter Side I have some truly wonderful posts by some amazing contributors coming up over the next few months. I was fascinated to read about each of their experiences and points of view (and a little bit in awe of their beautiful writing) and I’m sure you’ll love them too. You can sign up below to get these posts delivered straight to your inbox as part of my monthly newsletter so you don’t miss them. 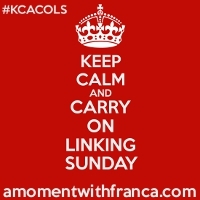 Don't miss the next fascinating guest posts! Thanks for such positive feedback, I'm glad you enjoyed reading it! Thanks! I finally got round to telling the story! A really interesting post. I read somewhere that expat is just a made up word for white people who lives abroad. I'm not being racist here. I'm just repeating what I can remembered from that article. I can't even remember where I've read it. There was a good point where it points out that a black/ colour people living in a first world country wouldn't be called an expat but an Immigrant. I don't know what to call myself either. I've been living here since I was 10 yrs old and yet people would talk to me slowly like a foreigner or a tourist. I got to laugh sometimes. I think it can be hard to imagine what it will be like going back to a place where you haven't live for a long time. I too missed my Thai food. This is fascinating! I can't imagine moving my life to another country - what an exciting (and brave!) thing to do. It sounds like this is going to be a great series. Thanks! I'm glad people are enjoying it!